RETICULATED GIRAFFE - landscape (horizontal) orientation. Native to Africa, the giraffe is the tallest land-dwelling mammal in the world. The average height for these animals is 17 feet for males and 14 feet for females. 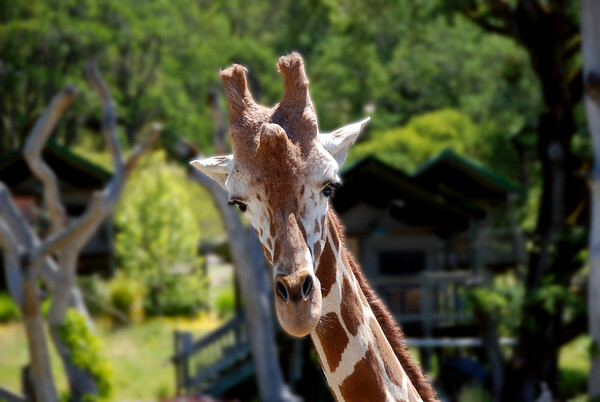 This photo was taken at Safari West, Santa Rosa, CA.